No age/attempt limit is imposed to appear for Common Admission Test. Candidates aspiring to join Management Colleges through CAT must have secured Bachelor’s Degree in any discipline or is in the final year of the same with atleast 55% marks as the overall record. Applicants who have successfully registered for CAT Exam 2018 within the stipulated date will be assessed on the basis of Written Ability Test followed by Personal Interview. 1. 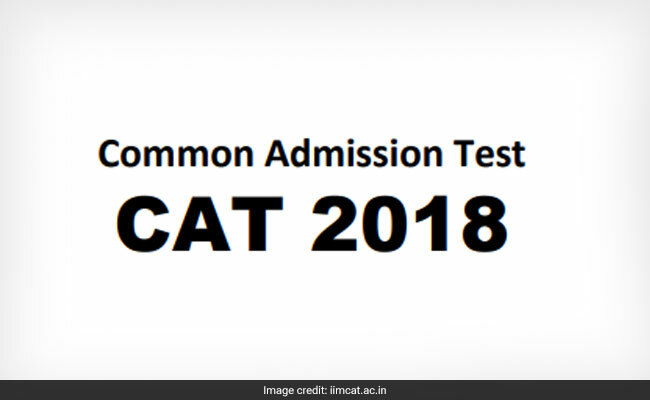 CAT Quantitative Aptitude: This section consist of topics from Mathematics namely Geometry, Algebra, Number System, Trigonometry, Mensuration, Profit & Loss, Quadratic and linear equations, Geometric Progression & Ratios and Proportion. 2. English or Verbal Section: This consists of prominent topics like Verbal Reasoning, Grammar, Syllogisms, Reading Comprehension, Contextual usage, Antonyms, Parajumbles etc. 3. Analytical Reasoning Section: This will consist of important topics namely Blood Relations, Series, Direction Sense, Puzzles, Coding-Decoding, Proposition, Venn Diagram & Binary Logic. 4. Data Interpretation Section: This section consists of core topics like Tables, Pie Charts, Caselets, Line Graphs, Bars and Data Sufficiency. Candidates interested can apply online through the official website http://www.iimcat.ac.in/ before the due date i.e. 19th September 2018.